Fran finishes the weekend for the Masters group. 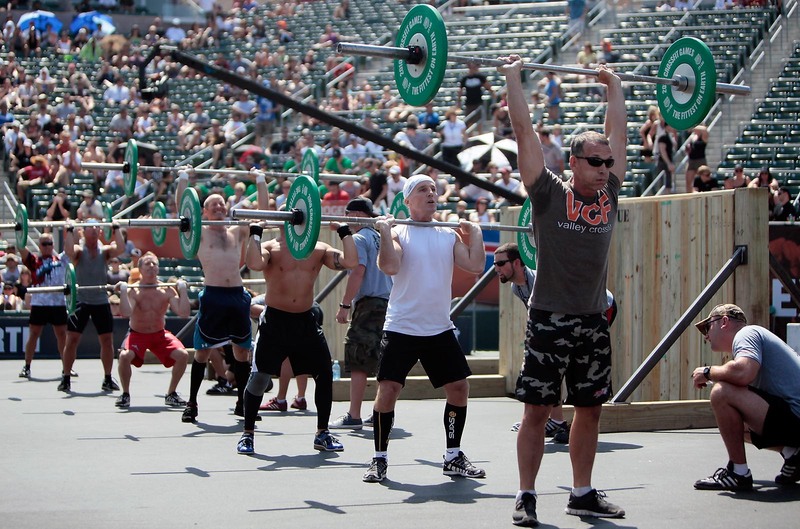 The 2010 CrossFit Games saw the addition of a Masters Class (50+) to its expanding list of firsts. After two gruelling events on the first day, the Masters were treated to a rest day on Saturday, plenty of time to prepare for what was to be a tough final challenge: Fran. The women took the floor first and shortly after the countdown the bars went flying. 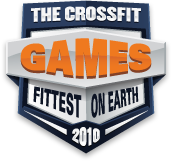 After an unbroken set of 21 thrusters by all females involved, they were off to the pull-up bars, where reps were eventually replaced by short periods of rest. Forty-five gruelling reps later, Heidi Fish finished the workout in 4:45, which was good enough for first. She was followed closely by Gabriele Schlicht with a time of 5:22. Rounding out third place was Laurie Carver with 5:36. 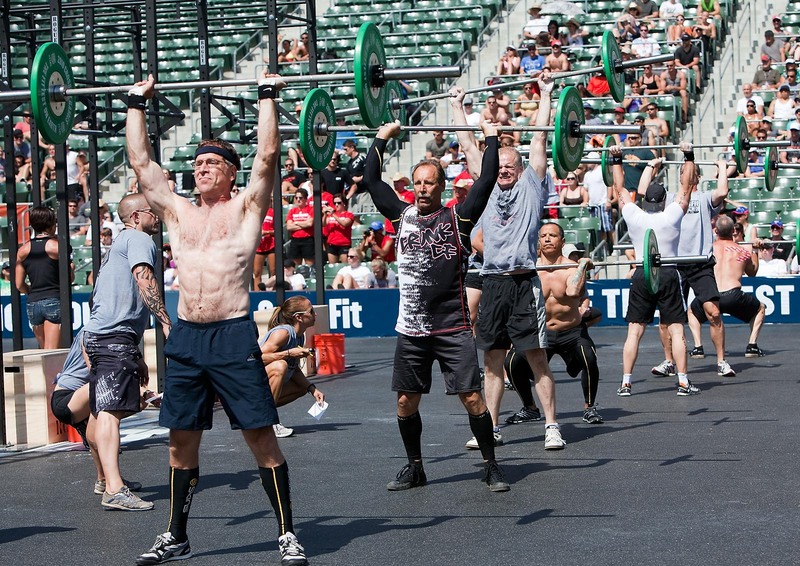 The men took center stage shortly after the last female completed the workout. All eyes were on leader Larry Silber, as well Joel Nessa and Brian Curley, who were tied for second. Only three points separated the top three men heading in to the final, so they were all in the hunt. Unfortunately for them, their competition had other plans. Mike Lions hit the last pull-up of his workout in 4:13, good enough for first. Jay Thomas (4:40) came in second, and Terry Dickman rounded out the top three with a time of 4:51. Actually Brian Curly was 2nd in this event at 4:31. 08 August 2010 / 6:44 a.m.
Gaby Schlicht you are an amazing athlete and friend. 09 August 2010 / 4:48 p.m.